Good Morning! July 4th is fast approaching, so today I have a patriotic card to share. I started with cutting several of the GMD Decorative Ribbon Border Die. I glued them on white cardstock, added the star paper in the top left corner to resemble a flag and cut it out with a GMD stitched rectangle die. I scored lines in the kraft card base with my Martha Stewart scoring board for extra visual interest. I decided the card needed something extra, so I stamped and embossed a Welcome Home sentiment on kraft paper and die cut it with GMD Big & Little Pierced Chain Heart die. 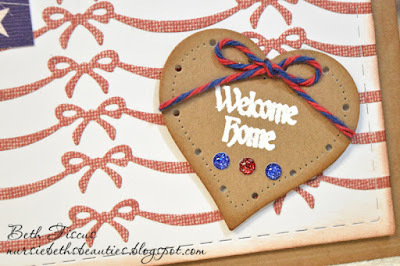 I embellished it with Berries Jubilee Trendy Twine and GMD Patriotic Sparkle enamel dots. 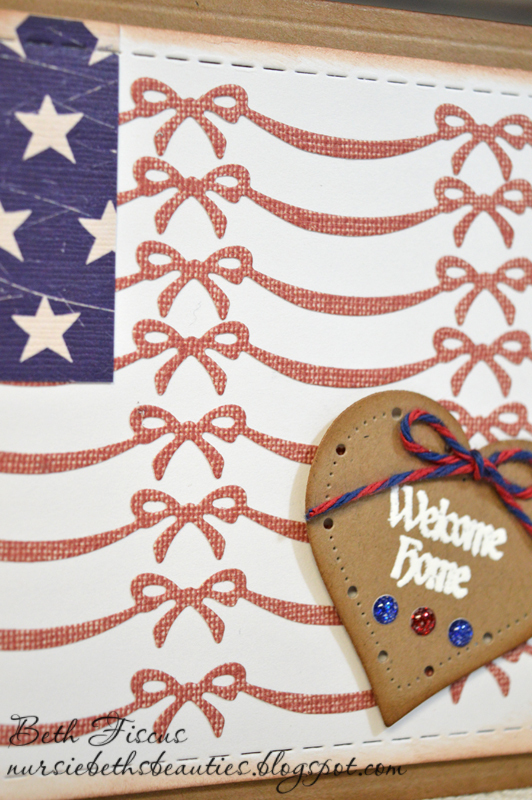 The red and blue patterned papers are from The Paper Studio's Vintage Nation stack. 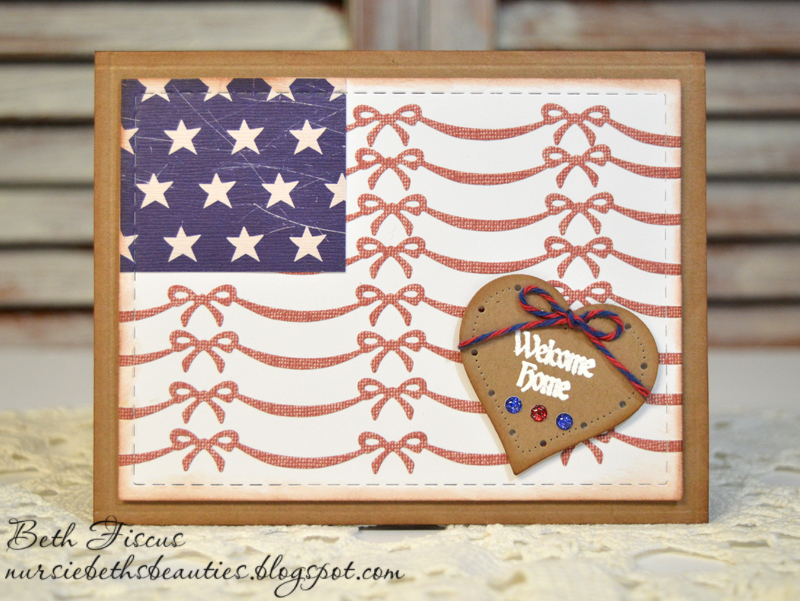 Gorgeous patriotic design! The way you used that die looks amazing! 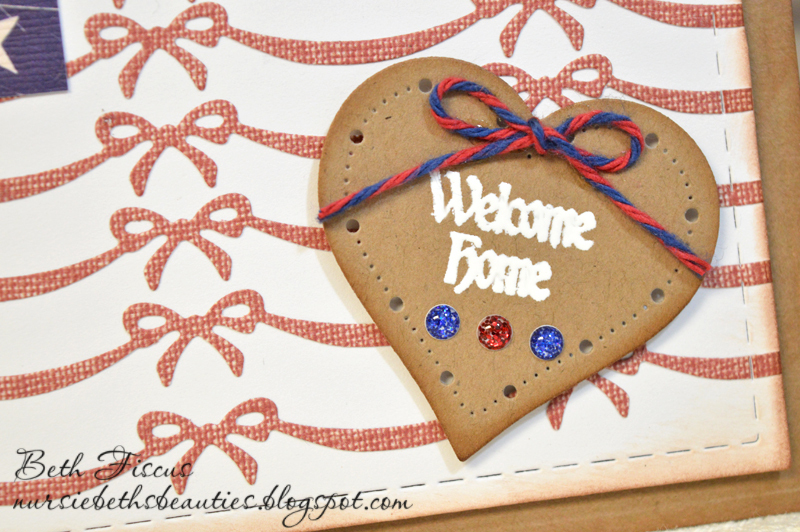 The embossed heart with the twine and enamel dots is the perfect accent!